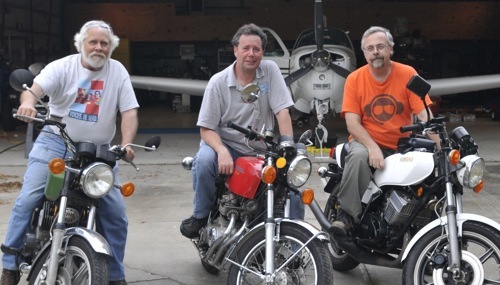 After Saturday's Venice FL Meetup, the boys rolled out three of Jeb's motorcycles and went for a little ride. Dave setup and took this pic. He calls it "Wild UCAP"